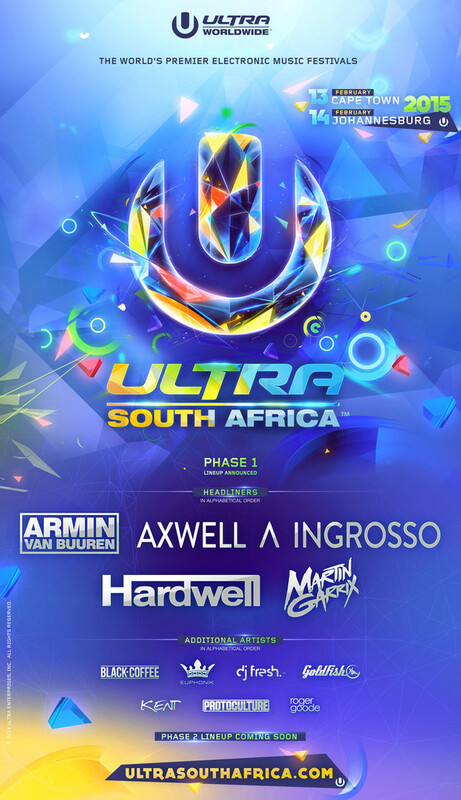 Having hosted the largest electronic music festival in African history in 2014, Ultra South Africa™ is returning for its 2015 edition with bigger plans; kicking off with the recent announcement of a Phase One lineup. With over 40,000 attendees passing through the gates across the two-day event earlier this year, the event returns to the landscapes of Ostrich Farm in Cape Town and the Nasrec Expo Grounds in Johannesburg on Friday 13 and Saturday 14 February 2015 respectively. Headlining the First Phase are current DJ Mag #1 Hardwell, who’s set to make his first appearance at the festival alongside fellow debutants Armin van Buuren and Axwell^Ingrosso. Martin Garrix will be returning to the grounds, where the headliners big-room sound finely is balanced with the inclusion of some of South Africa’s biggest and best talent. This includes the Cape Town-based funk duo Goldfish, underground tech-house’s Black Coffee, as well as an appearance from the house outfit Fresh & Euphonik. 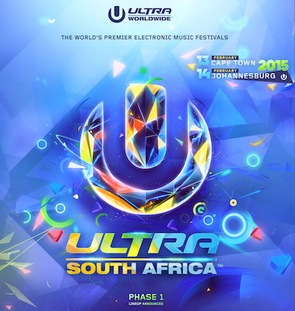 Other acts to round out Phase One include hometown DJ Roger Goode, DJ Kent and producer Protoculture. With pre-registered fans already purchased their tickets, they rest go on sale to the general public today. With Early Bird admission already sold out, advance entry tickets will begin on sale at R850 for both events, with VIP versions being sold at R1,250 and R1,500 for the Cape Town and Johannesburg events respectively.